Up To 11 Years Financing! A Wide Array Of Domestic And Imported Elements. Full line of bathroom renovation and bathroom remodeling services. These services are aimed at helping our clients get the bathroom that they want, at an affordable price without the noise and hassle of traditional bathroom remodeling. Read more. 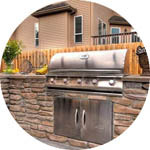 We can design and install wonderful outdoor living areas that you will love to spend time in. From outdoor kitchens and living areas to fountains and stonework, the possibilities are endless. Give us a call and let’s get it started. Read more. Adding a room to your home is an incredibly difficult and time-consuming project. Room additions in Orange County will increase your home’s resale value, and they can improve you and your family’s quality of life. Of course, to get the job done right, you need to hire a professional contractor that you can trust, and that’s where Laguna Kitchen and Bath comes in. 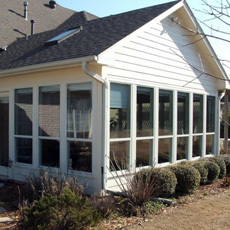 We are committed to quality workmanship and superior customer service. We’ll work with you directly on the design of your new room addition, and we’ll handle every aspect of the project, from the design to the completion of construction. Contact us today to discuss your new home extension project, and let our room addition team start designing and building an addition that’s perfect for your Orange County home. Contact us for best deals on kitchen and bath remodels, flooring and rental upgrades. Looking to transform your kitchen and bath, flooring and/or outdoor living space? Let our vast design experience and skilled crew help you achieve best results at the most compatible price. Request a free quote by calling (949) 588-6350 or use our online form. You’ll be glad you did. With over 20 years of experience, no project is too big or too small. We are here to help. We offer hardwood and carpet flooring to commercial businesses throughout Orange County. 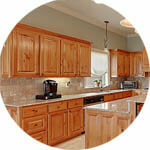 Need new kitchen cabinets, front and back hardscaping or office remodel? We can help. We are consistently acknowledged as one of the highest rated kitchen and bath remodel experts in OC – by clients like you! With hundreds of happy clients and counting, all rating and reviewing Laguna Kitchen & Bath on Angie’s List, houzz, Yelp*, Google, Yahoo, Kudzu and more! 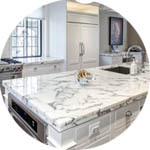 Simply put, if you want the best kitchen and bath remodel contractor in Orange County, then you are at the right place looking at the right company.